East Timor (Timor Leste, República Democrática de Timor-Leste), is a small state of South-East Asian with capital Dili, it’s a former Portuguese colony which became independent from Indonesia in 2002. The country occupies the eastern portion of the island of Timor, in the Lesser Sunda islands, the exclave on the northwestern side of the island of Ocussi-Ambeno (815 sqkm) and the islands of Atauro (142 sq. km) and Jaco (10 sqkm). 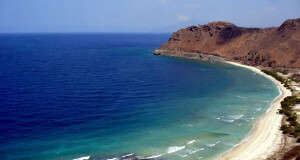 The majority of the population of East Timor live in the area around the city of Dili, along the northern coast of the island. The official languages ​​of East Timor are Portuguese and Tetum. East Timor, along with the Philippines, is the only Asian country to have the majority of the population of Christian religion, in fact 94% of the population professes the Catholic religion. 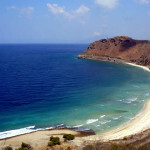 The island of Timor is very mountainous, a central mountain range divides the island. The coasts do not have many creeks especially to the south. The vegetation of the country is largely made ​​up of savanna contains trees, there are eucalyptus trees and along the rivers the gallery forest. The territory of the country is rather mountainous, the highest peak is Mount Tata Mailau (2,950 metres). East Timor is one of the poorest countries in the world, but recently have been found large deposits of oil and natural gas within the territorial waters of the country, their exploitation began in 2005. The economy of East Timor is primarily agricultural, there are grown coffee, coconuts, cloves, cocoa, rice, cassava, sweet potatoes, pineapple, nutmeg. The official currency of East Timor is the U.S. dollar, on the island circulate also East Timorese centavos coins. Languages: Official language are Portuguese and Tetum. Religion: Christian 94% (Roman Catholic 91%, Protestant 3%), Muslim 4%.